UPDATE: A more in-depth obituary and celebration of Leonard Nimoy can be found here. Leonard Nimoy, the man who, despite once writing an autobiography called I Am Not Spock, will forever be known as Mr. Spock, has died at his home in Los Angeles. The New York Times reports that Nimoy had been suffering from late-stage chronic obstructive pulmonary disease. He was 83. Nimoy was teaching Method acting when he was cast as the steadfastly logical first officer Mr. Spock in the original Star Trek series, which debuted on September 8, 1966. The role made him a star, but Nimoy had some ambivalence towards Star Trek; in 1995 he followed the aforementioned I Am Not Spock with another autobiography called I Am Spock, a perfect encapsulation of his feelings on the character. 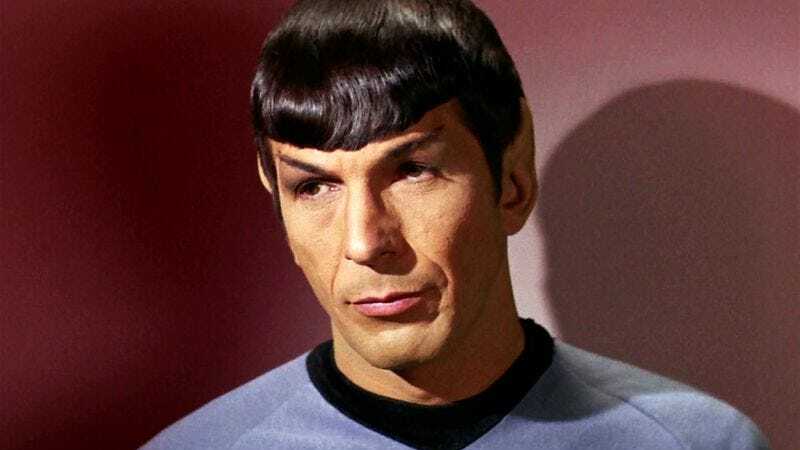 As well as his many turns as Spock, Nimoy directed two of the Star Trek movies, Star Trek III: The Search For Spock and Star Trek IV: The Voyage Home, and, in his later years, made a cameo in J.J. Abrams’ 2009 Star Trek reboot. He also appeared in the followup, 2013’s Star Trek Into Darkness, in what would end up being his last movie role.